The Missing Persons Institute of Bosnia-Herzegovina (MPI) continues its key work of finding and excavating mass graves as MPI teams began work on two key sites located in south-western Bosnia and Herzegovina. 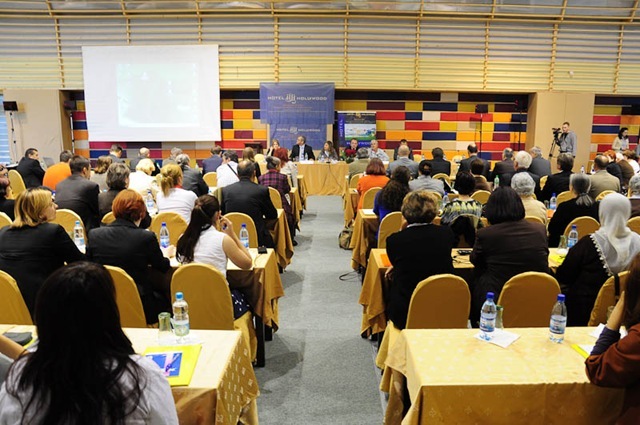 The Institute’s work at the two locations demonstrated its readiness and ability to operate as the state-level institution tasked with dealing with some 17,500 missing persons across the entire territory of Bosnia-Herzegovina. One year after the sinking of the MV Princess of the Stars ferry during Typhoon Frank, INTERPOL and the International Commission on Missing Persons (ICMP) today paid their respects to the victims and their families at a ceremony. Following the disaster, in which an estimated 800 passengers and crew lost their lives when the ferry capsized, an INTERPOL Incident Response Team (IRT), which included experts from the ICMP, was deployed to Cebu City to assist Philippine authorities in the identification of victims. The International Commission on Missing Persons (ICMP) is delighted to announce the implementation of a major donation of software from the Microsoft Corporation, with a commercial value of $162,000. This donation will enable ICMP to upgrade its operating systems, thereby improving and continuing its vital work of assisting governments to clarify the fate of missing persons including the use of DNA techniques to assist in the identification of the remains of tens of thousands of people missing from wars, human rights abuses and natural disasters worldwide. The government of the Czech Republic has further demonstrated its commitment to The International Commission on Missing Persons and to reinforcing stability, security and democracy in the Western Balkans by making a further grant to ICMP of 50,000 euros.